One stop shop for wheels and tires! We sell tires at competitive prices and carry good, better, best options to fit every budget. ***Call us for special pricing on your VW and any other vehicle you own. 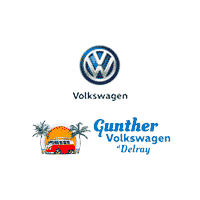 Gunther Volkswagen is offering a Complimentary 29-Point Inspection, we will visually inspect and provide a free report on your vehicle. **Present Coupon upon arrival to Gunther Service department. We will scan your car’s computer for faults and provide an estimate based on the results. **Coupon must be presented at the time of write up to be valid.